Hash Heaven is a cross of Hash Plant-13 with G-13 Haze. This plant makes exceptional water hash. It comes out with an orange color and melts into vapor. 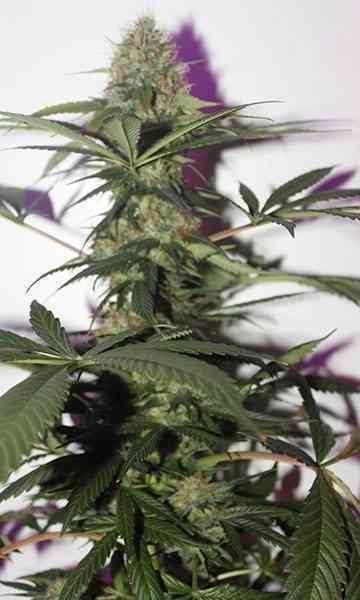 You most definitely need a high ceiling in your grow space for this one as it can get quite tall. I have had great luck with super-cropping this plant. It is able to make many branches and as it grows I bend them to create as many top bud sites as possible. This makes for quite a good yield. The smell is not sweet it has a pungent aroma. The taste is sharp with a very strong high that lasts for hours. It needs 12-13 weeks to flower. It is about 80% sativa and 20% indica. Outside you need a semi-tropical environment.